Whenever we talk about picking outfits for the festive season, the first style that comes into our mind is ethnic! 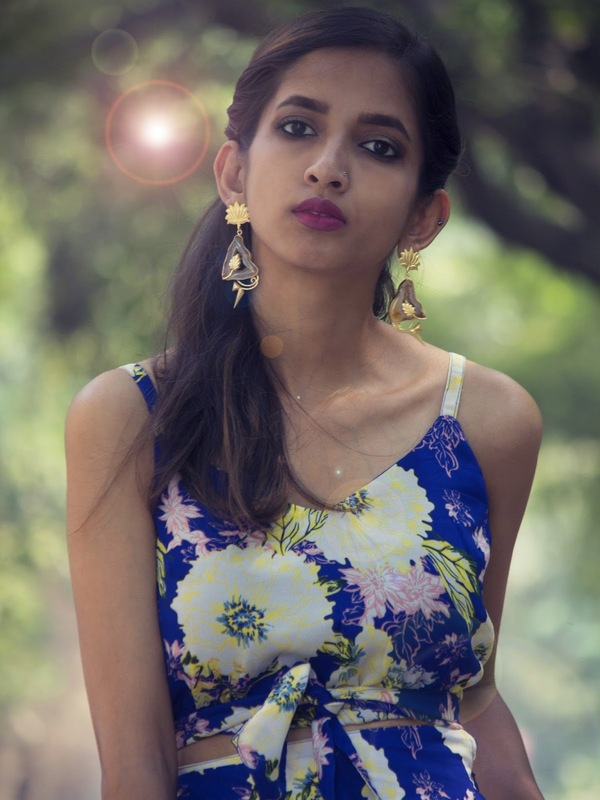 While I feel one can experiment alot with their looks & it does not necessarily have to be completely ethnic, so I decided to create an unconventional look that you can sport this festive season & not go the mainstream way! 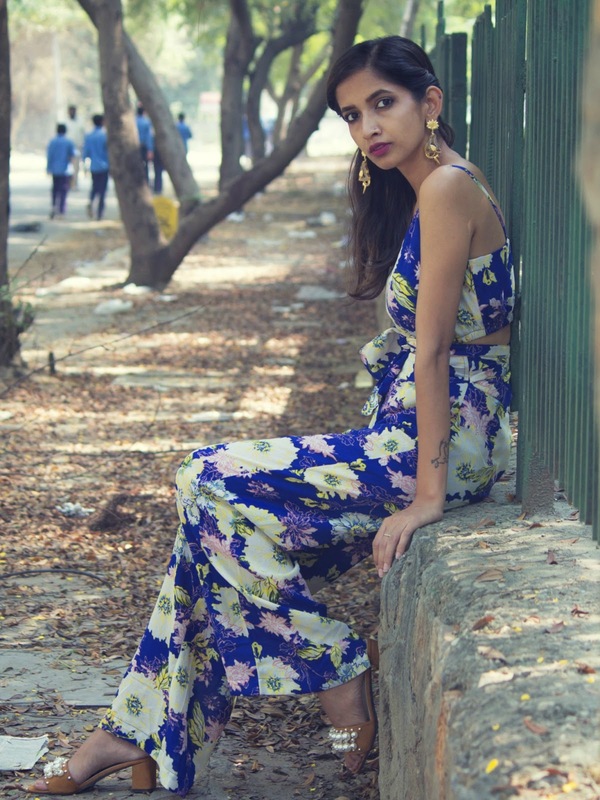 For this look, I picked a co-ord set to add a dash of sass to your festive look. One can easily pull this look off to the pre-diwali parties or at the time when you head out for festive gifting and more. Keeping the festive mood intact, I chose a vibrant pairing of wide legged pants & a crop top, in floral pattern. I decided to utilise the tie-up on the pants and tied it in a criss-cross manner from the back over the top. 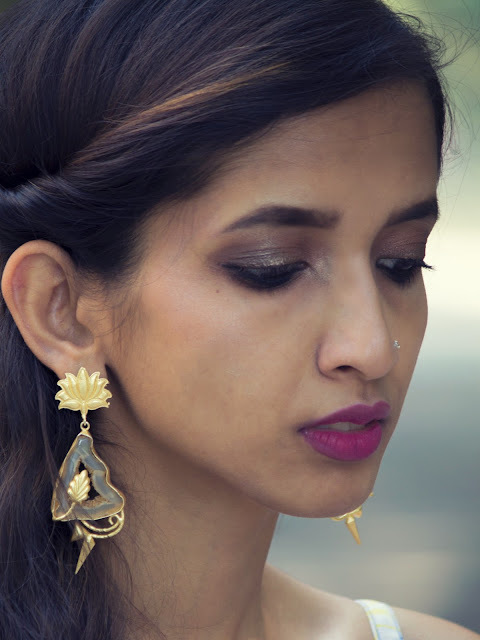 Indian festivals are all about going a little extra with the jewellery! But for this being modern contemporary look I chose to go with statement footwear with pearl embellishments & matte gold druzy earrings. Last but not the least, kept my hair half tied with gold & brown eyeshadow & matte mauve lips! Have a great festive week! Floral designs are always hit.... the footwear and earrings adds extra charm.